Get on the shelf and stay on the shelf. You’ve crafted a product that your friends and family love. They give you endless praise saying you should get retail shelf space. But before you can go into a store, are you aware of the competitive landscape? Do you know who the ideal consumer is for your product? Research for your brand is critical in laying down a successful foundation. This will set you up for scaling in the late game to compete against the big brands. After all, that’s one of your direct competitors when you break out onto the retail shelf. Two important things that we believe in: understanding the competitive market and the consumer market. Pinpointing your audience is the first step for building success. It sounds simple but this also establishes future success for your marketing. 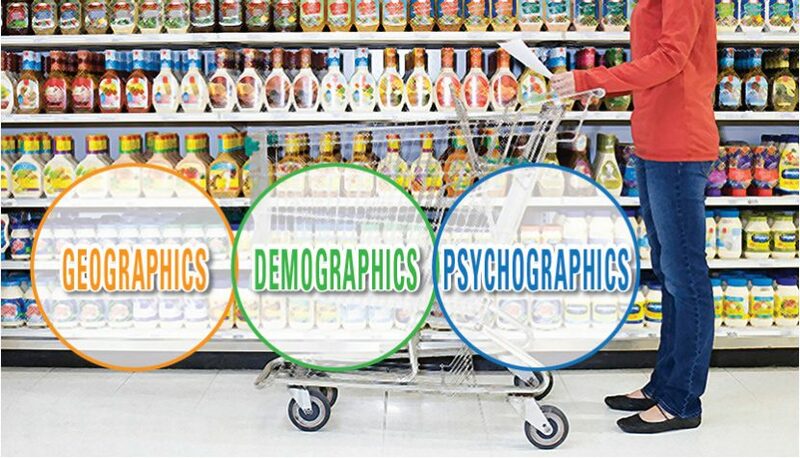 The three categories that encompass your consumer profile are dependent on: geographics, demographics, and psychographics. In simpler terms, think of location, characteristics, and attitude or behavior. Knowledge of your consumer imparts information to further optimize your product for your consumers. Ultimately, you want to become an expert in not just your product but who you’re engaging within the marketplace—both consumers and competitors. You’ll have to convince the retail buyer why they should displace a competitor’s product to begin carrying yours. Getting on their plan-o-gram (POG) is the first half of the battle. The other half is making results for turns-on-shelf to stay on the shelf. We’ll discuss turns-on-shelf in another blog, but for now let’s focus on getting onto the POG. The best real-estate on a POG is at eye-level. In reality, it’s a territory that’s often difficult to get placement. It’s the level that gets the most attention. Unfortunately, the bigger brands are competing for that space. Nevertheless, you may be able to attain some good leverage with the gatekeeper within your local grocers. So, how can you entice the buyer? By having marketing material that will drive traffic to their store! Have a strong marketing foundation that drives consumers to the stores is reassuring for buyers. Most importantly, sample your product to them. Let them feel, see, and taste the product. To further illustrate, we discovered some deeper insights on how to get onto retail buyer’s POGs during Retail Buyer Q&A Panel at our Emerging Food Brands Forum. Retailers typically place brand leaders at eye-level simply because they sell or they pay for the placement. Ultimately, your aspirations should include being the best brand in your category. Perhaps consumers will eventually see eye to eye with you and your product. Becoming an expert in your category will not only be beneficial for you as a food entrepreneur but it will also help build the credibility between you and retail buyers. Anticipating trends will allow you to pivot into different features in your food such as the organic or non-GMO trends. Right now, it seems to be the local movement so leveraging that in your marketing material will support your product and later your turns-on-shelf. Each product offering is going to be different, but these few things should help lay the infrastructure of your brand. At NewPoint, we want to see smaller, local food manufacturers compete against the Big Brands. Now is the time for local and we’re not just saying that. FMI’s 2015 Industry Study discovered local and regional food companies grew more rapidly at 5% compared to the 25 biggest U.S. food and beverage manufacturers at an annual 1% growth. To learn more about what the retail food buyer is looking for in supplier partner, read this book: Moving Your Brand Up the Food Chain by NewPoint’s Patrick Nycz, check out this excerpt of The Buyer’s Perspective or contact NewPoint today to get your spot on the shelf.